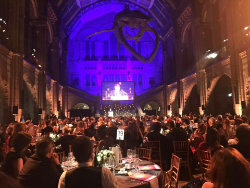 PWN Global Co-President, Sonya Richardson, and PWN London Co-President, Philina Toiny represented PWN at the EDAs 2018 last night at the stunning Natural History Museum, in London. 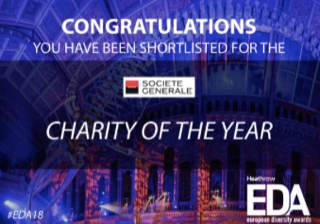 Shortlisted by the EDAs in the “Charity of the year” category, Richardson and Toint were proud to be in attendance at this exceptional event that recognises the outstanding work of charities from across Europe in the field of equality, diversity and inclusion. PWN Global is a volunteer-led network that exists to advance gender balanced leadership. PWN believes that better decision making, economic sustainability and a happier society will exist by leveraging 100% of the world’s talent. PWN is creating a movement of people who aspire to accelerate the current pace of change towards gender balanced leadership. The global not-for-profit exists to connect people via a unique global network, inspiring the leaders of today to create exemplary leaders of tomorrow. This helps create an environment where the members of the PWN Global community can support one another, embrace new skills, learn to speak out on the topic,. create and deliver sustainable action plans. Since their launch in 2010, the European Diversity Awards has become the continent’s most prestigious and widely respected diversity event. 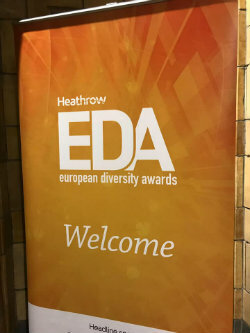 Recognising individuals and organisations who have made an outstanding contribution to equality, diversity and inclusion across Europe, the EDA brings together under one roof the leading movers and shakers in business, media, politics and the third sector. Ms Sonya Richardson, Co-President of PWN Global, said “We are delighted to be shortlisted for this prestigious award, amongst a list of very worthy organisations all doing fantastic work in their respective areas. PWN works with: organisations offering best-practise support to help make gender balanced leadership an operating norm; and, members, providing a selection of personal and professional learning development opportunities in an effort to help them achieve their career goals. Our communications and thought leadership touch a 60,000 strong community on a monthly basis. PWN Global would like to extend a huge congratulations to the winner of the 2018 Charity of the Year Award, Diversity Role Models - a charity that works with schools to create a world where all young people feel free to be their true selves, whatever their sexuality or gender identity - a very worthy cause. We look forward to submitting our application and seeing you all in 2019.